looking for any tricks I may have missed in replacing the couplers on a u36c truck without having to cut away the bottom portion of the plastic steps to gain access. 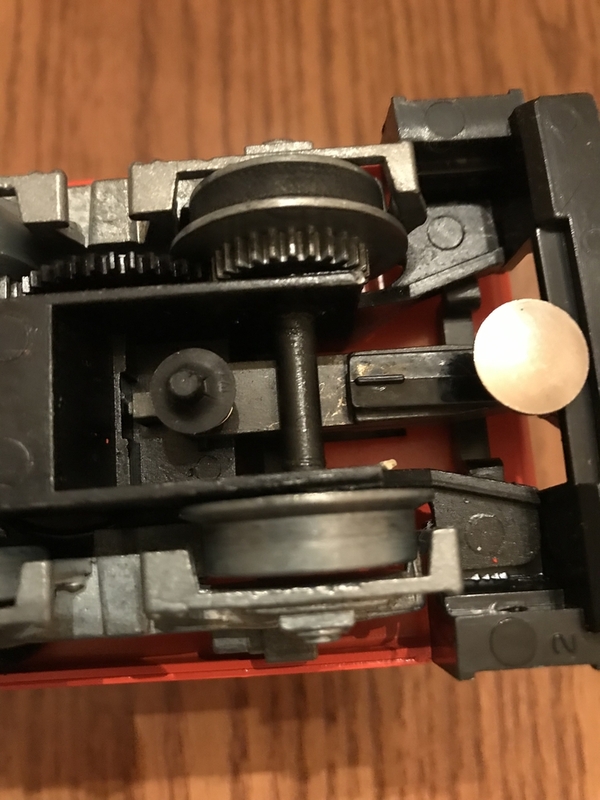 this is the 8855-50 coupler same type truck as the sd40 I know if you de rivet the steps you have open access but then a job getting new steps and rivets in place can be a mess any suggestions? Pry up on the rear end of the 'thumbtack' armature until it pops out of the coupler shank. Once it is free, remove it. Remove the palnut holding the coupler in place and your done. There should be no need to remove the pilots for any coupler work. The coupler armature will snap out with a screwdriver. If the coupler needs replacing it should wiggle out. As far as I can see, according to the Lionel service manuals, the pilot is part #627-122. The rivets are #530-40 and both are available here. Call before ordering to insure correct part numbers.